Electronics manufacturer ABB confirmed Wednesday it is eliminating 120 jobs from its Southaven, Mississippi facility and consolidating to plants in Mexico and elsewhere in the U.S. The news comes one day after Mississippi officials announced the company will create 50 new jobs and fill 150 previously announced jobs at an ABB facility in Senatobia. The company said the two moves were not related. Read "How 3D printing is changing the manufacturing landscape"
The phased-in transition at the Southaven Thomas & Betts plant is expected to be complete by July. The company said the plant consolidation will improve cost, delivery and quality to customers. To learn more, read "ABB to cut 120 jobs at Southaven manufacturing facility" from WREG-TV, Memphis, TN. Get breaking industry news like this delivered right to your inbox. 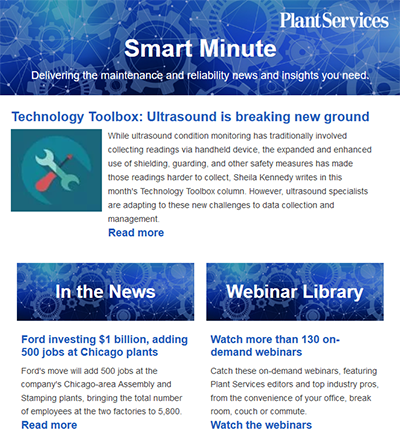 Sign up for the daily Plant Services Smart Minute newsletter.